North of the Kathmandu Valley lies the spectacularly beautiful Langtang Region. Compared to the Annapurna and Everest Regions, it attracts comparatively few visitors, despite the stunning scenery. The area was designated as Nepal's first Himalayan National Park in 1971 and is inhabited by both Tamang and Sherpa ethnic groups, whose religious practices, language and dress are closer to those of Tibet than to those of their countrymen living farther south. A visit to this area offers the opportunity to explore the Tamang villages, climb some lesser peaks, and visit glaciers at a more comfortable altitude than in other trekking regions. The forests and wildlife in this temperate or subalpine area are varied and fascinating. 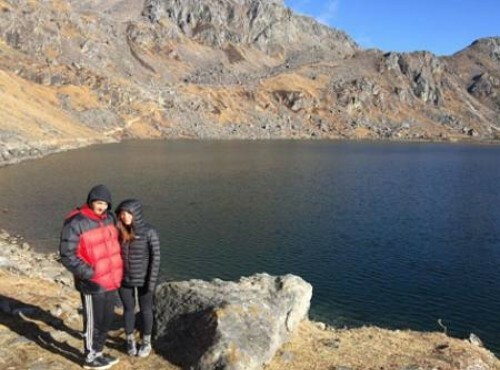 A possible option for trekkers coming to the Langtang Region is to extend the trek into the Gosainkunda and Helambu Regions to the south, creating treks from 7 to 21 days in length. Each of these areas is well-served by teahouses so that independent trekking is possible. Such is not the case with Ganesh Himal, however, which lies to the west of Kathmandu, and offers peaks ranging between 6,000 and 7,000 meters in height. Access to Helambu is particularly easy and quick. Sundarijal, one of the most convenient starting points, is an hour's drive from Kathmandu; Budhanilkantha, Kakani, and Melamshi Pul are other possible starting points. For the trek to Langtang and Ganesh Himal, one must first drive to Dhunche in the Rasuwa Region and from there to Syabrubesi, where the treks to Ganesh Himal and Langtang start. Each of these areas offers an exhilarating and rejuvenating experience that Adventure Club Trek would love to plan for you, with a wide range of possible options. We hope you will join us in this fantastic but less-frequently visited region of Nepal.